Are you looking for a motorhome, travel trailer, pop-up, or some other type of RV or camper to rent in the Dallas Fort Worth area? If so, this page has a list of Dallas and Fort Worth RV rental locations. If you're renting an RV in Dallas or Fort Worth, you might also be interested in Texas Outside's RV Park & Campground Reviews, North Texas Campgrounds & RV Parks, and Texas Outside's list of the Top 25 Best RV Parks & Campgrounds in Texas. Southwest RV Rentals is your Premiere RV Rental Company in the Dallas/Fort Worth area. 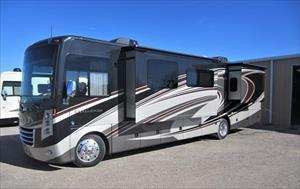 They offer UNLIMITED MILEAGE on a Fleet of Class C RVs, Class A Motorhomes, and Luxury Diesel Pushers. Their fleet is meticulously maintained so that you know when you rent from them you will have a quality, dependable, clean RV to enjoy your Trip. They want your trip to be relaxing and enjoyable, so that you create all the best memories on your Trip. Call them today! Before you call, check out the Southwest RV Rentals Coupon to save you some money on your rental. RV Rentals USA is a family owned business located in Cleburne and providing a wide fleet of RVs for renters in North Texas and the Dallas Fort Worth area. And if you don't want to drive to Cleburne to pick up your rental they can deliver it and set it up for you. You have a wide choice of RVs to rent, ranging from travel trailers to Class C and Class A luxury motorhomes. They come in a wide variety of sizes and floor plans to comfortably accommodate your rental needs. Discounts for active duty military are available. Heading to White Rock Lake, or the Trinity River or any of the nearby Texas State Park? what ever your plan in and around the City of Cowboys, Outdoorsy makes it easy to rent the perfect affordable RV. Weâ€™re the most comprehensive peer-to-peer platform for outdoor travelers to rent stylish awesome RVs in the nation. Our selection spans vintage Airstreams, toy haulers, fifth wheelers, Class A, B, and C of RVs throughout Dallas, Fort Worth and Nationwide. Outdoorsy is safe, easy, fully insured. Weâ€™re free to join and have no membership fees of any kind. Discover and Rent amazing local RVs & Trailers perfect for your next adventure. 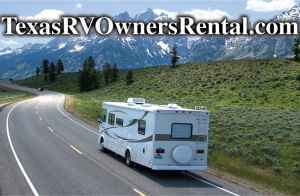 Choose from over 140 RV Rentals at . Compare prices and amenities. See photos and floor plans. We've got DFW motorhomes, travel trailers, campers and toy hauler RV's for rent. Plan your vacation today or a family reunion, NASCAR, a Jimmy Buffet concert, the Larry Joe Taylor Texas Music Festival, Fort Worth Stock Show and Rodeo, Renaissance Festival, Rednecks with Paychecks, Tailgating or a get-a-way to one of the many Texas State Parks. Campers 4 Rent, LLC has been serving North Texas since 2003. With over 30 campers in stock you can find what you want for a fun weekend camping. They feature: 17' to 30' pull-behind travel trailers, including toy haulers, motorhomes that sleep up to 8, and popup campers that open up to 19' - 28' long. Being from Texas, they know that all campers need to have air conditioning! 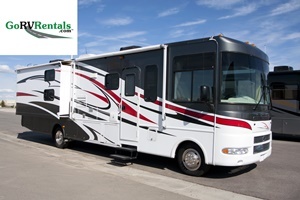 Texas RV Owners Rental is DFW’s Premiere Resource for the Rental of Privately Owned RV’s. They’ve got well-equipped Travel Trailers, 5th Wheels, Class C and Teardrop campers plus Class A Luxury Coaches available for anywhere from 1 day to 1 month rentals. That’s right, no minimum rental nights - except during NASCAR and special events. There is also an amenities package available to have the RV stocked with everything you'll need for kitchen bed and bath. Great rates & discounts for rentals over 7 days. Delivery is available within a 100 mile radius. Print this Coupon and get a 5% discount on any rental of 3 days or more. Make Texas RV Owners Rental your choice and Be A Happy Camper!